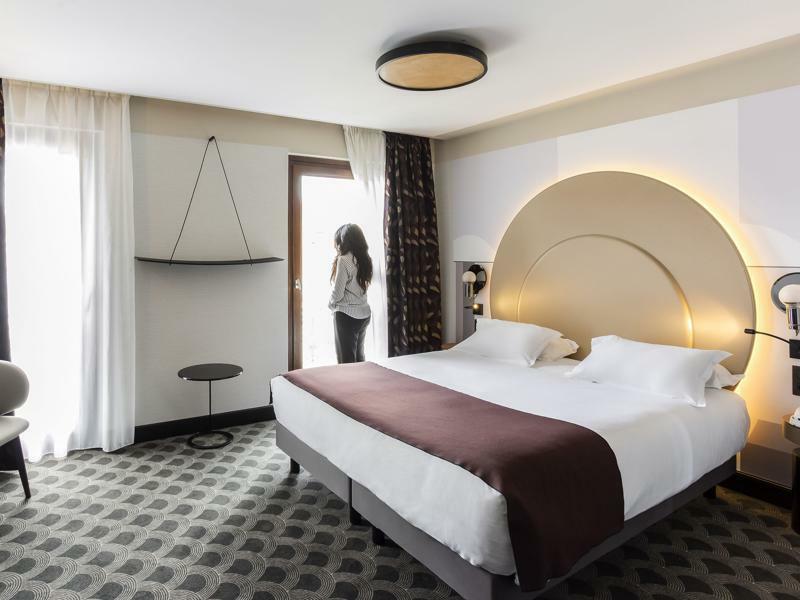 The Cannes Centre Univers Hotel is a 4-star hotel that offers luxury stay and is only a 3-minute walk from the Palais des Festivals. 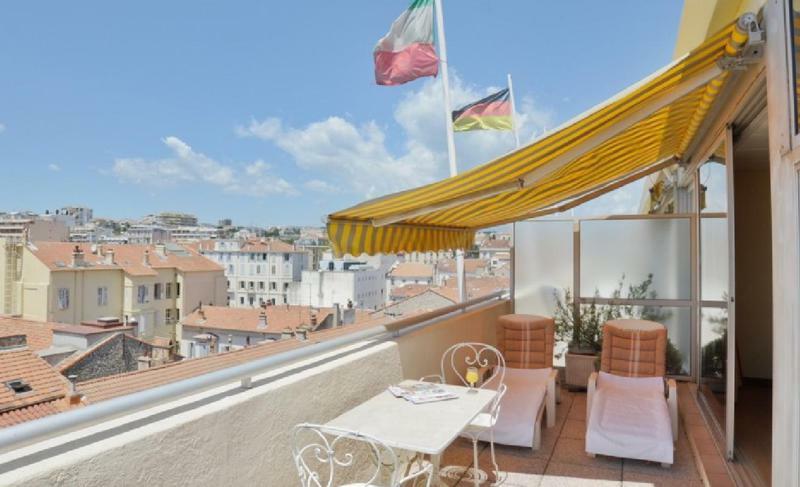 Residing in the heart of Cannes, the hotel got off the ground in 1850, and was later remodelled in the year 2010. 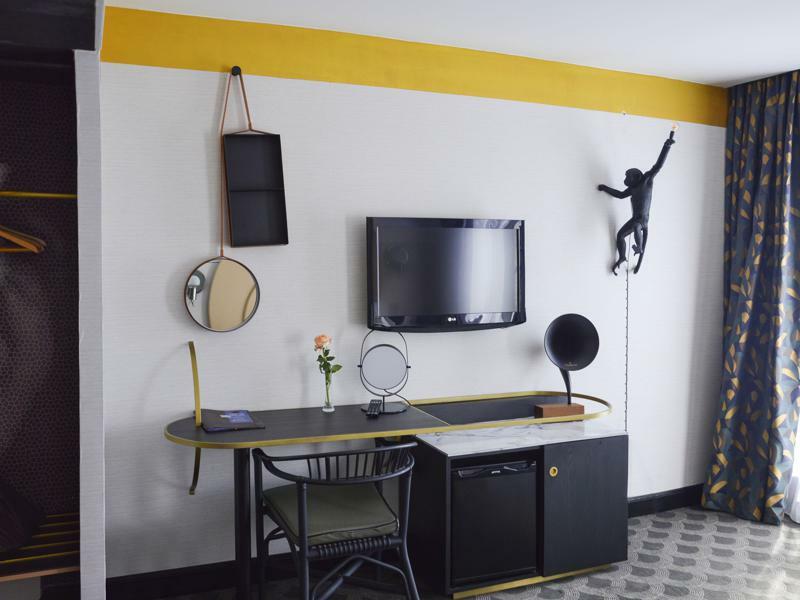 In 2018, the Cannes Hotel Univers underwent renovations to provide a more modern stay for its guests. 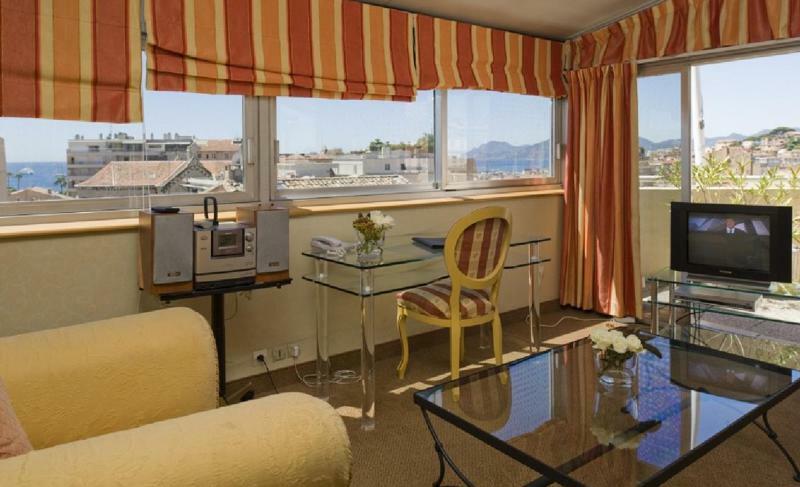 Perfect for business trips, this Cannes group hotel provides accommodation in 72 guestrooms. 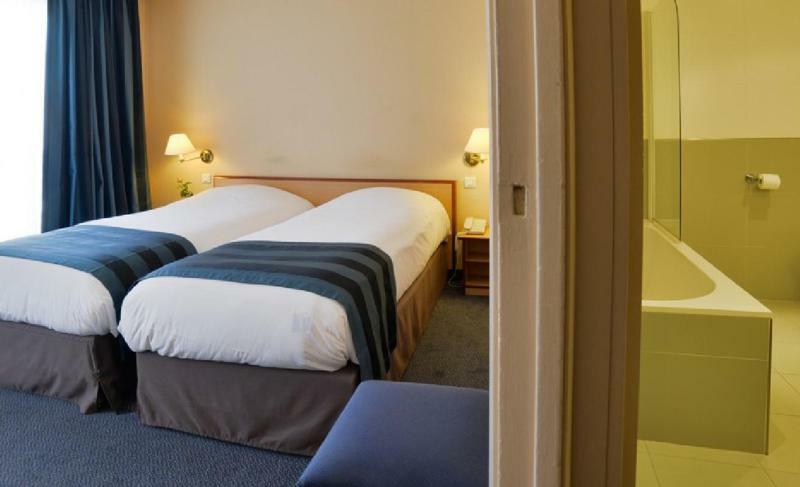 With a different range of room types, you can accommodate your entire team comfortably here. All the rooms, single bedrooms with 2 beds or double bedrooms, come with an ensuite bathroom. Additionally, there are 4 sea-views suites with private terraces for those of you who seek exclusivity. 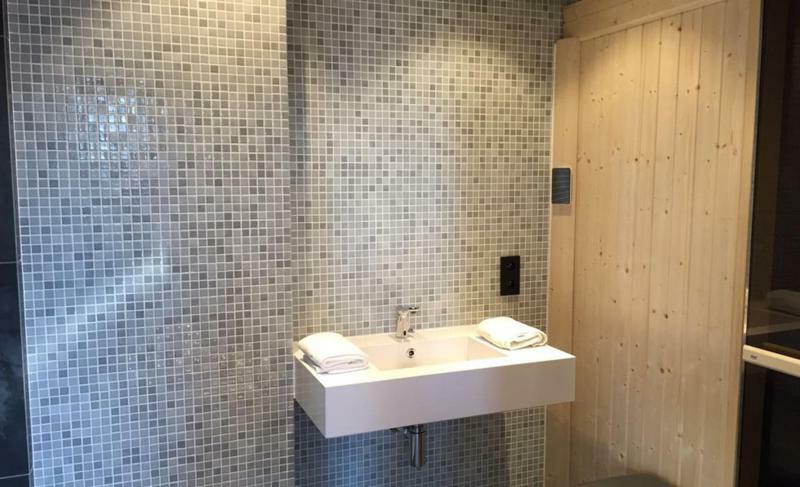 Modernly styled with wooden furnishing, all the rooms come with dishwashers, coffee makers and a kettle. 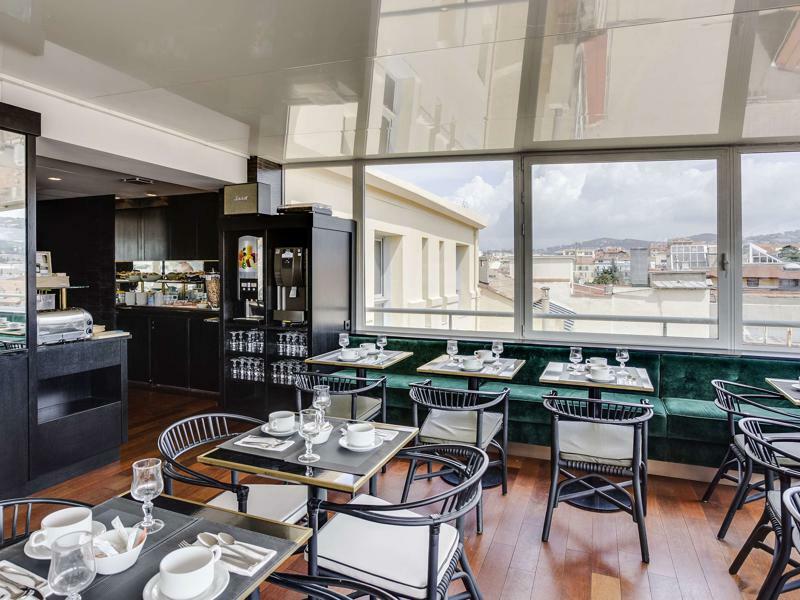 Residing in a 6-storey building, the hotel restaurant and bar covers the top floor, and from here you can indulge in the panoramic views of the Bay of Cannes. You can start your day with a buffet breakfast at the rooftop bar and even work on your business, thanks to the super fast wifi connection. 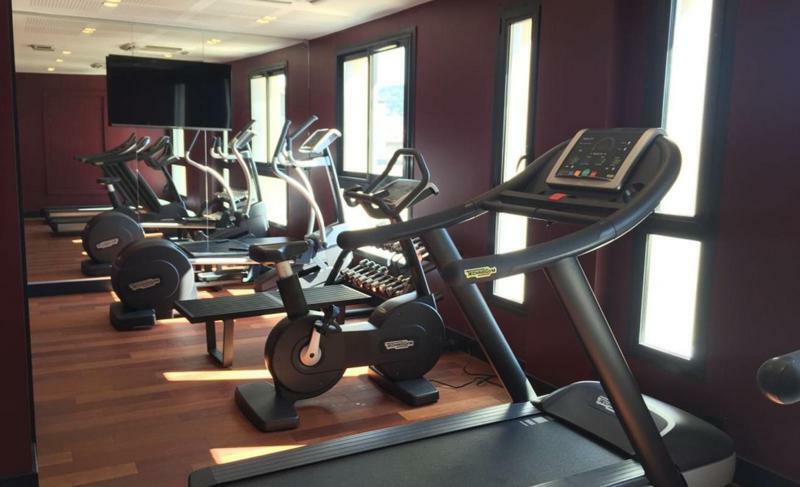 For the purpose of leisure and activities, you have a fitness centre and a complimentary sauna located on the premises. You may also entertain yourself on a nearby golf course and in various beach and water sports as the beach is only 2-minutes’ walking distance. Additional services for the guest use include dry cleaning, newspaper and car parking. 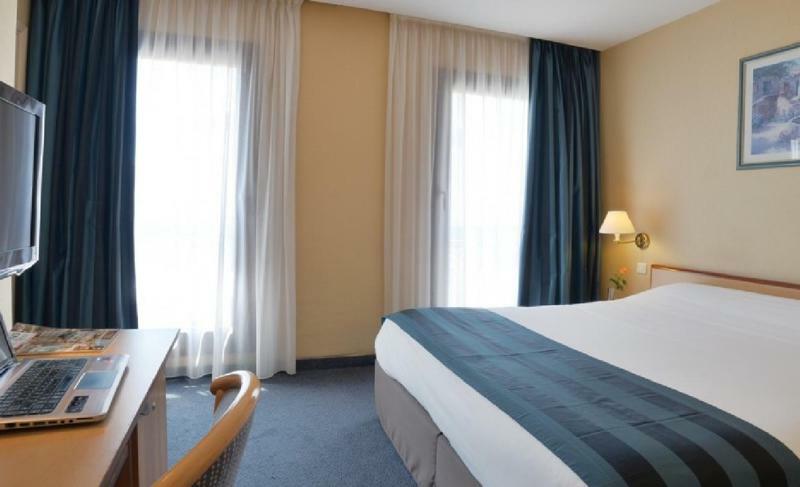 The Hotel Univers is ideally located and perfect for delegates attending any event in the Cannes convention centre. 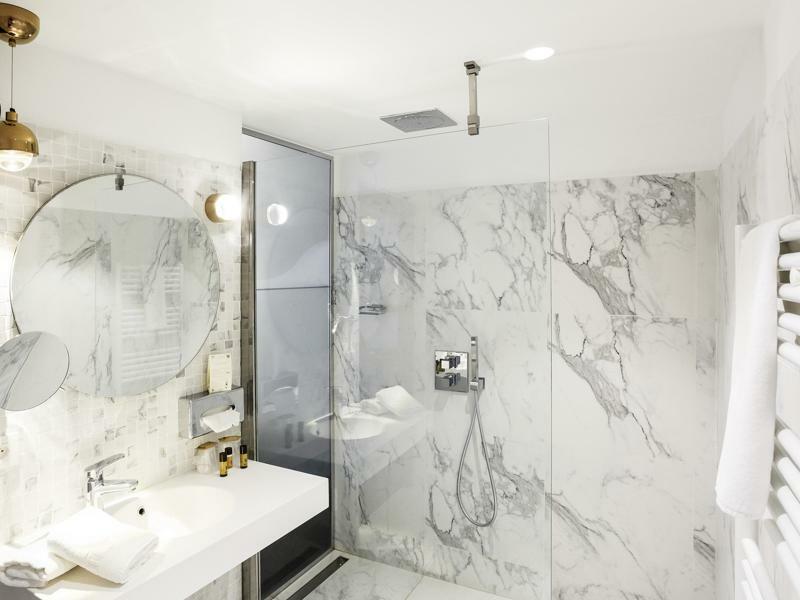 The newly refurbished hotel has been recently bought by the hotel chain Mercure from Accor Hotels.